The first one is produced in the provinces of Jiangsu, Anhui and Zhejiang of China, and the last two are produced in northeast area of China. Clematis chinensis Osbeck is light in smell and tasteless; C. hexapetala Pall is salty; and C. manshurica Rupr. is pungent and spicy. Even root, black peels, white woody and solid nature. Dried in sunlight, cut into segments, and unprocessed. Pungent, salty, warm; liver and spleen meridians entered. Dispel wind-damp, unblock collaterals and alleviate pain. Being pungent and warm with the actions of dispersing and smoothing, it can both dispel wind-damp and unblock collaterals to alleviate pain. 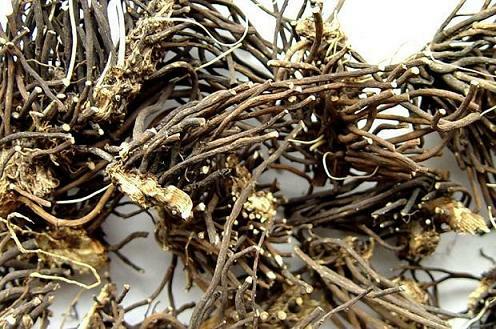 It is indicated for arthralgia syndrome due to wind-damp, numbness of the limbs, spasm of the tendons and vessels, and difficulty of flexing and extending wherever the diseased region is, especially in treating spasm and dragging pain predominantly due to pathogenic wind. 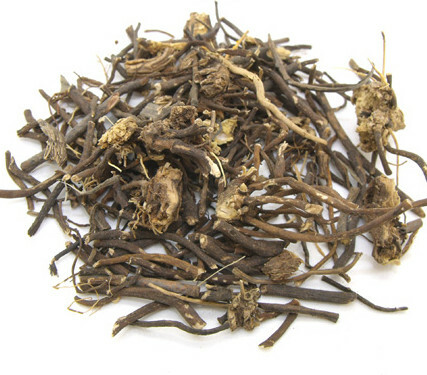 It is often combined with other wind-damp-dispelling herbs such as Du Huo, Qiang Huo and Mu Gua, etc. In addition, for mild condition of fish bones or other bones stuck in the throat, it can be decocted singly or with brown sugar and vinegar, and then swallowed slowly after filtering the decoction.